Fri., July 27, 2018, 4:59 p.m.
ENGLEWOOD, Colo. – When the Denver Broncos reported to training camp they were met by cushy new team and position meeting rooms and an expanded training room that features two cryogenic chambers and a flotation pod along with other amenities courtesy of a $9.5 million facilities face-lift that capped a five-year, $45 million renovation. 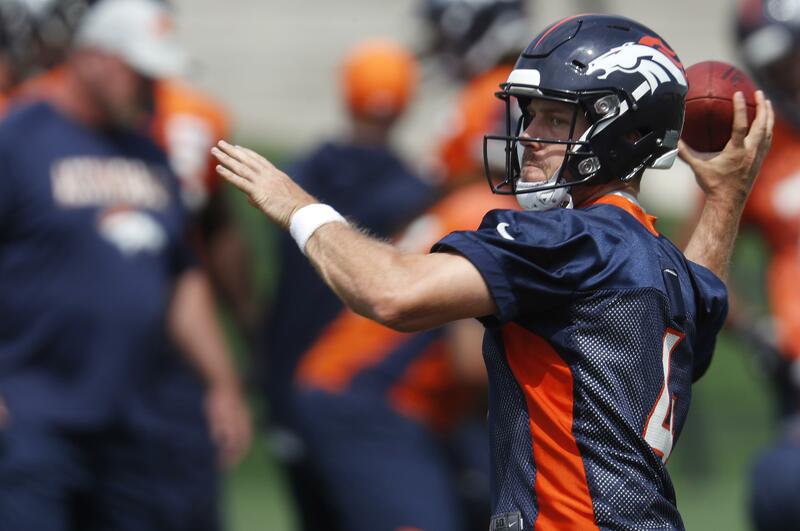 The Broncos haven’t bolstered their offense like this since the Peyton Manning era, and with Keenum, they’re no longer bogged down by a QB competition like they were each of the last two summers – unless you count Paxton Lynch and Chad Kelly’s battle for the backup job. “We’re a better football team,” Elway said Friday on the eve of training camp. “We have some better depth. I think Case is a big part of that. … Now, we have to all come together. It’s about getting continuity on the offensive line as well as the young wide receivers getting up to speed. As well as the young running back. Published: July 27, 2018, 4:59 p.m.